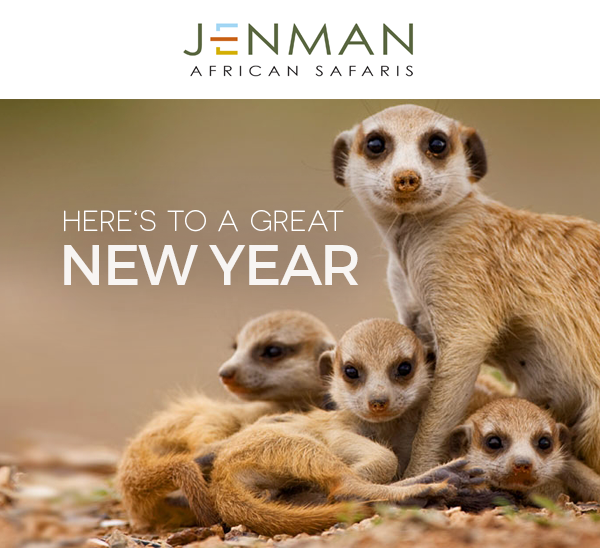 Indaba in Durban, please contact Nicole on nicoleb@jenmansafaris.com. 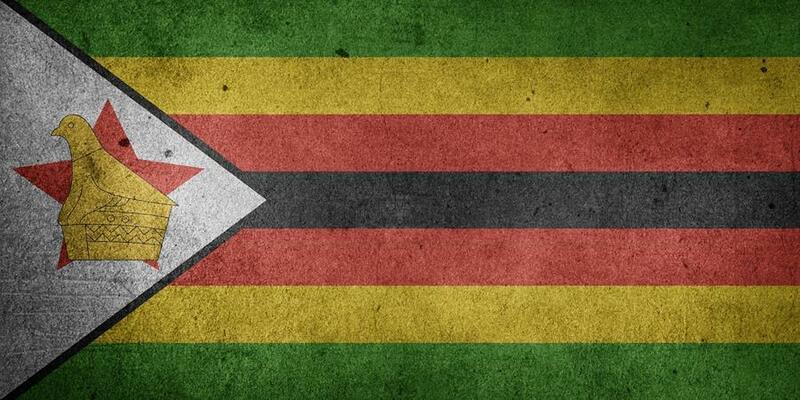 There is a new spirit in Zimbabwe after the resignation of former president Robert Mugabe last year, and with it comes a renewed vitality to the economy and one of its important sources of revenue, tourism. Travellers and tour operators are increasing their confidence in the country and its diverse travel opportunities. The tourism industry is delighted about the tourism opportunities in the country. Zimbabwe’s new president Mnangagwa has welcomed tourists saying that “As we enter into this historic new era for Zimbabwe, we are proud to share our heritage and the beauty of our nation with the world. On behalf of all Zimbabweans, I would like to invite people to visit our great country, for you will be welcomed with open arms”. Over the past couple of years investment in the country has increased, and with international embassies such as the United States making statements of support about the government’s transition this is expected to rise even more. All of these factors are allowing the hidden gem of Zimbabwe to become a worthwhile competitor to its established neighbours as a must-visit African destination. Zimbabwe is a country with world-famous attractions and lesser-known gems to discover. Why not explore the true highlights of this fascinating country on a 7-day luxury lodge safari starting in Victoria Falls and ending in Hwange National Park, Zimbabwe? Enjoy the majesty of the mighty Victoria Falls, quality game viewing along Lake Kariba and the vast wilderness of the Hwange National Park in between. Currently, travellers to Zimbabwe can still experience the luxury of fewer travellers than other more popular safari destinations in Kenya, Tanzania, South Africa or even Botswana. But this may not be the case for long, as the country enters a new era with significant tourism growth predicted. Receive an awesome 10% discount on our Intimate Botswana & Zimbabwe Encounter guided group tour. Validity: For bookings made from 10th Jan – 30th Mar 2018. Special is only valid for maximum 4 pax per departure. Payment Terms: Normal terms and conditions. Valid for all 2018 departures. 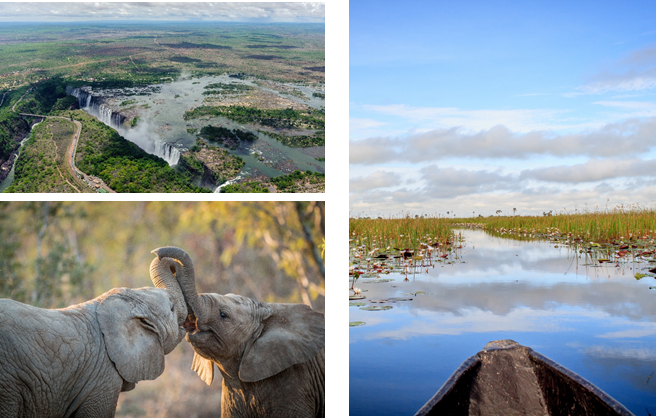 10% discount per person tour price on our Botswana & Zimbabwe Encounter tour only – Excludes all other Southern Africa, East Africa, Madagascar scheduled tours, tailor-made, private guided lodge safaris & packages. 2017 was a successful year for Grow Africa, our responsible tourism initiative. 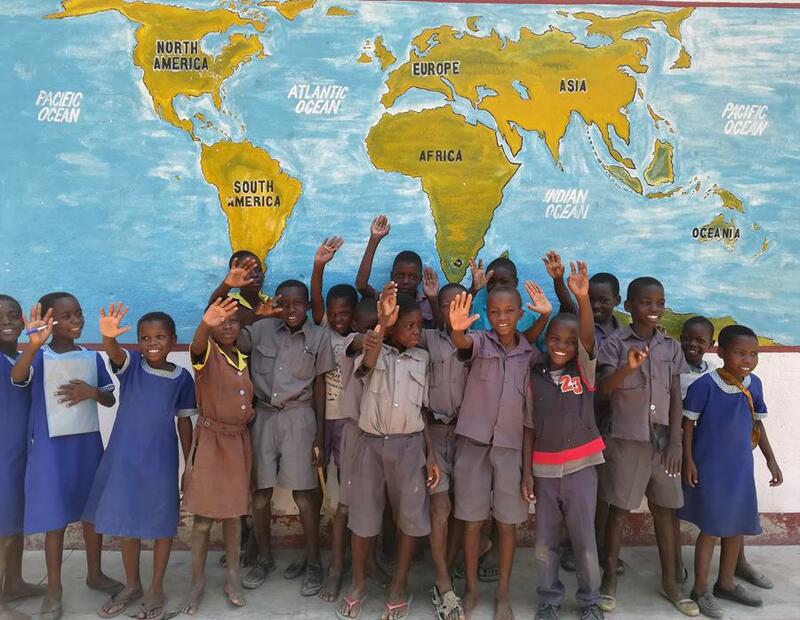 It was a year of growth and the achievement of significant goals, such as receiving the full amount of funds needed for Project Penya through donations. We are proud of our successes and look forward to impacting further positive change in the areas we operate in. In order to keep our eyes at all times set on the right goals and to be effective, we decided to define our core identity in a way that resonates with our founding principles but also reflects our growth and evolution. Our vision and mission clarifies who we are, what we do, and what we aspire to achieve. They are both fundamental to our long-term success and allow us to set impactful sustainable goals. We want to sow seeds for growth in Africa because we are profoundly aware of its value and opportunities, and we want to cultivate those seeds through a collaborative partnership with the captivating continent and its people. 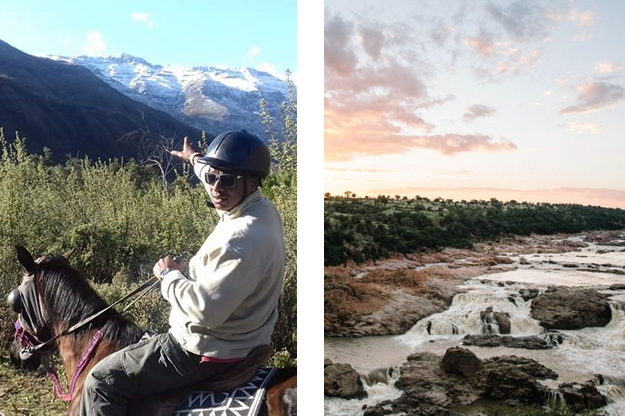 As part of our series on introducing our trusted guides, we would like you to meet Dexter who recently had this glowing praise from a guest: "One of the best parts of the trip was our guide, Dexter. I was VERY LUCKY to have Dexter lead our 10-day trip. He is super knowledgeable about the land, current affairs, people, and of course, animals. Dexter is extremely patient and happy, he gives off the best positive energy (even though we asked him a million questions and had him repeat facts and times constantly) and it was a total pleasure to spend time with him. If you are lucky enough to get Dexter, your trip will be 100 times better. We’ve asked him a few questions for you to get to know him better." Situated in the south-east region of Zimbabwe, along the Mozambique border lies the unseen wilderness of Gonarezhou National Park. Gonarezhou is regarded as unspoilt and remains secluded from main tourist routes, preserving its untouched beauty. Displays of red sandstone cliffs, baobab scrublands and stunning natural formed pools are prominent features at this park. Large herds of large tusked elephant can be seen wandering throughout the park. The parks possess scenic glances of mystical panoramic views with remarkable sunset views which will leave you mesmerised. As Zimbabwe becomes more accessible this remote destination is not to be missed. ENDED OFF THE YEAR IN STYLE OR FUN? WIN THREE BOTTLES OF DELICIOUS SOUTH AFRICAN WINE FOR YOUR NEXT FUNCTION! To celebrate the end of 2017 and reward our team for a job well done, we held our Chic Afrique Year End Function at Cafe Roux in Cape Town. 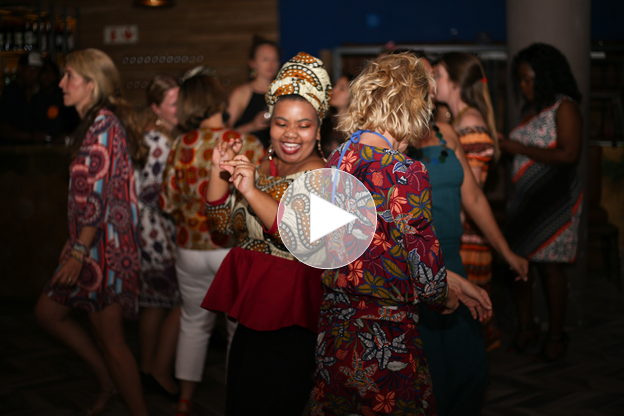 It was a wonderful evening of good food, excellent music, and spirited dancing where the team celebrated the end of a busy and successful year! Take a look at our pics to see our team in their African chic inspired outfits. We'd love to hear and see how you celebrated! Send us your pics or stories and stand the chance to win THREE BOTTLES of delicious South African wine, if we are moved by your festive spirit! To enter, send your pictures to mary@jenmansafaris.com or tag us using @jenmansafaris or #jenmanafricansafaris on Instagram or Facebook.